Orlando’s Premier Kentucky Derby Day 4 Autism! Join us for this fun, sophisticated event and help raise funds for autism programs in Central Florida. The party provides the ultimate Kentucky Derby viewing experience with TVs, food, an open bar, and more! 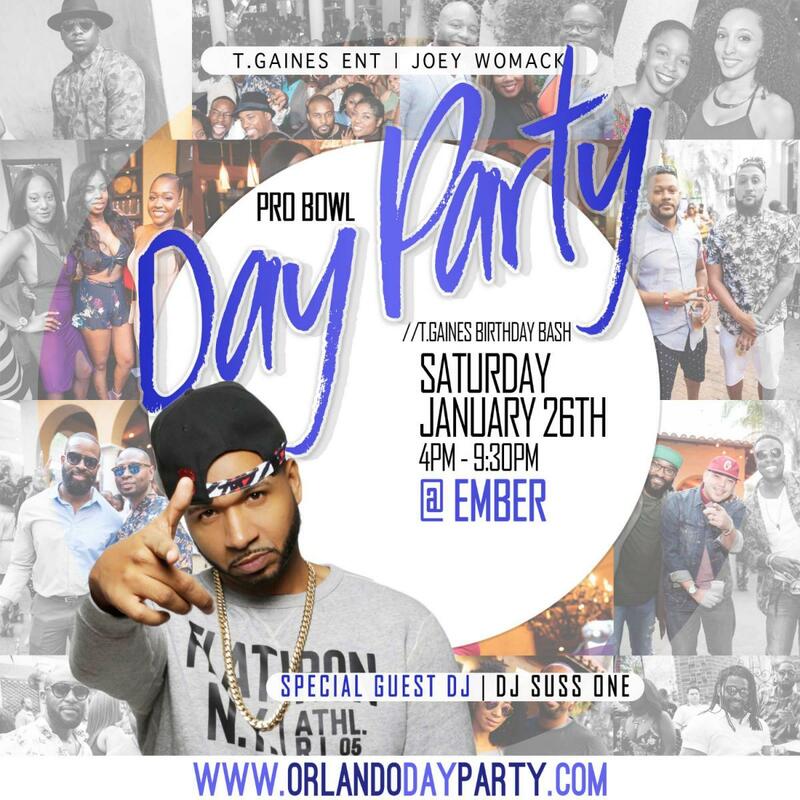 The Pro Bowl Weekend Day Party at Ember featuring DJ Suss One.